Got a Running Blog? You can use Race-Calendar.com to Interact with your Audience! We’re avid runners, and we’re avid bloggers, too. We often write about our running. And we know that heaps of our friends in the running community are just like us, too, with lots of runners operating amazing running blogs. For this reason, we’ve always been keen to make sure that running bloggers are included in any new project we create at Race-Calendar.com, and, in this post, I’m going to explain to running bloggers how they can use Race-Calendar.com tools and systems to interact with runners who visit your blog – and also to maintain their interest and (in some cases) raise a little extra revenue! If you have a running blog, chances are you’ll be blogging about races. You audience will want to know about races happening in your (and their) region. Our Race-Calendar.com race maps, whether regional or global, may be embedded in your website or blog. To embed Race-Calendar.com race maps directly into your blog or website, click here. Copy and paste in the “embed” code where you’d like your map to display. If you use WordPress, you must embed the code in “HTML” screen mode, and save the document without switching back to “Visual” editor. That’s it, you should be able to see a Race-Calendar.com race map on your website. This map is fully interactive, and will update every time a new race is added to Race-Calendar.com, or, when a race date passes, old races automatically are removed from the map, too, to make sure you’re only displaying races which have yet to take place. Useful for your audience, and they’ll stay on your website for longer. Quite simply, the race maps can act as a “pull” in their own right, bringing a new audience into your blog or website, and helping you to reach more people. You’re also helping to promote races around your area, and across the globe, which means more people will be willing to put on more great races in which runners like us may participate! If you’d like to make extra money from your running blog, you may be interested in the Race-Calendar.com Partner Program. 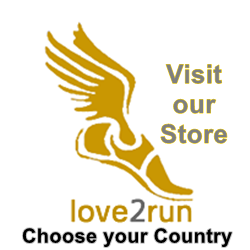 This is where we partner with your running blog to sell our products to your audience. Every time a sale happens through your checkout – which may be hosted directly inside your website or blog – you’ll be credited and paid for a sale. No risk. Only revenue. We pick and pack the products, and collect the payments, before sending you a monthly cheque, paypal payment or bank wire transfer. Click here to find out more about the Race-Calendar.com Partner Program. If you have a Facebook fan page, you can use our Race Maps App from Facebook to embed maps of running events directly into a “tab” on your Facebook page. It is a simple one-click signup process. There are many more ways in which you may become better connected with Race-Calendar.com, including by Following our Twitter and hitting “Like” on our Facebook I Love Running page. Please feel free to leave a comment below if you have ideas, or if you run into difficulties with implementing and of the above. Find a Hotel for Race Day!